Keurig to pull out of the UK Office Coffee Market! We have been told by a reliable source, that Keurig are to pull out of the UK office coffee market! Keurig have only been active in the UK for a relatively short period of time. 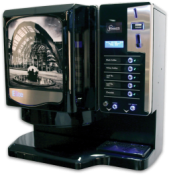 The aim was to compete in the “Office Coffee Machine” market, offering a single serve brewing system using the unique K-Cup pods. It would seem however that despite coming to market with a low cost machine; normally supplied free on loan, the cost of the pods have been the issue! Our research has shown that the pods could be as much as double the price of other single serve systems. 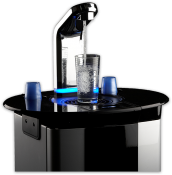 Indications are that sales have been poor, and it is no longer viable to import the drink pods to the UK, due the fact that stock is going out of date before being sold to customers! 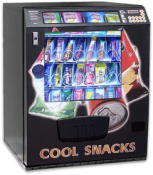 We have been led to believe that new machines are no longer being supplied to distributors, and drinks pods will be withdrawn from sale at some point in the not too distant future! There is no indication if Keurig UK will be offering support to customers or distributors, who are in possession of a Keurig system! However there are established alternatives already available for UK customers. 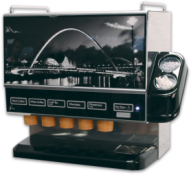 The Flavia system manufactured by Mars Drinks, has been available in the UK for over 30 years and is still the number one single serve tea and coffee machine sold in the UK. 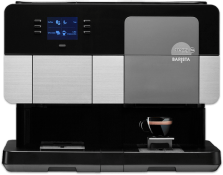 If you need to find an alternative to your soon to be redundant Keurig system, please take a look at the New Flavia Creation 500 model, with a wide range of over 30 inspiring drinks to choose from. Alternatively contact one of our experienced sales advisors, who can discuss the potential benefits of switching to a Flavia system. We may also be able to offer you a trade-in for your Keurig machine? Written by: Peter from KSV vending.